What Leg Press Weight Should a Beginner Go For? Before we delve further into this article, I want to make it very clear that there is no method stated or proven anywhere that is used in deciding the weight for leg press that an individual should go for. There are a lot of things that determines an individual’s leg strength such as exercise regime, overall fitness, and physiology. So, these are the factors that will determine the weight your legs can carry. However, you can make use of a calculator to find out or have an idea of the weight to carry. But the best way is to try out the weight to see if it’s something you can handle comfortably. One way to determine the weight to go for is that you can make use of your body weight to get an idea of how much weight to carry. According to a report by the University of Texas situated at Austin, the weight for leg press varies for a woman and a man. They believe that for a woman, the lowest percentile she can complete leg press exercise is 1.79 times of her body weight, while that of a man is 2.47 times of his body weight. It further says that for women, the highest leg press they can go is 3.71 times of their body weight and for men, 4.84 times of their body weight. Another way you can find out the weight that your legs can carry is to do that under the monitor of a trainer. You have to first warm up for 10 minutes. Then take a rest for 1 minute. While seated on in the press, choose a weight that will not be too hard for you to press up to 3 or 5 times and then add 30 or 40 pounds to it. Rest again for 2 minutes. Then add an extra 30 to 40 pounds weight and press for 2 to 3 times. Take another rest for 2 to 4 minutes and then add an extra 10 to 20 or 30 to 40 pound weight. If at that point you can’t press more than once, then you have arrived at the right weight for you. If not, continue with the same pattern until you can no longer complete 2 leg presses. Remember to take a rest. 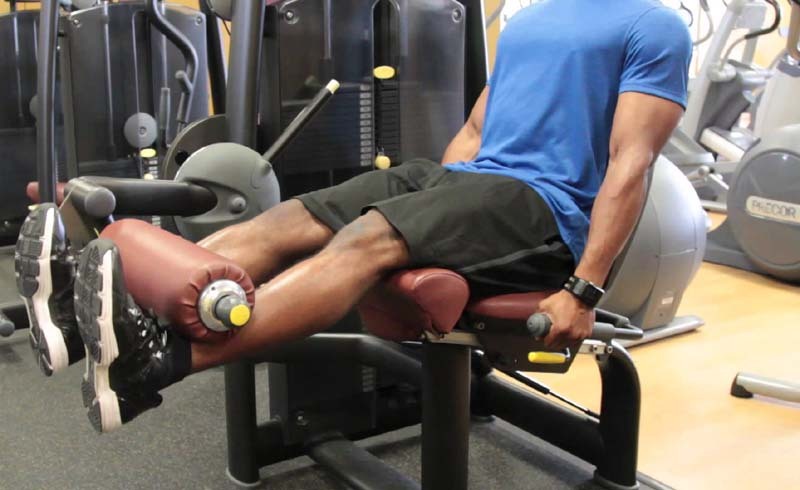 When you are completing a leg press, make sure you in the right form. Your tailbone and back should be pressing against the pad before you kick off. And your feet should be parallel with your heels placed flat to avoid them dropping below the supporting pad. It’s important that your feet don’t bend more than 90 degrees, so adjust the seat to get you in the right position. The side bars are there to give support to your upper body. With your core braced, press to get your legs extended but not to the point of locking out your knees as it can lead to injury. Never attempt to round your back or lift your bottom while doing the press. Make sure you are using a leg press machine from a reputable brand. The main purpose of leg press is to strengthen and build your lower body muscles like the quadriceps, bottom, and hamstrings. Your calf muscle known as the gastrocnemius is not left out. Leg press is also good for people that lift heavy weights. A good way is to begin with a weight you can lift up to 8 to 12 times without issues and then increase it every 6 weeks. U.S. Daily News: What Leg Press Weight Should a Beginner Go For?